Raising kids involves a lot of worrying about how to keep them healthy. Are they eating enough? Getting enough activity? Making and maintaining new friendships? And, crucially, are they sleeping well? Sleep is a really important part of any kid’s health. “Sleeping the number of recommended hours on a regular basis is associated with better health outcomes including improved attention, behavior, learning, memory, emotional regulation, quality of life, and mental and physical health,” the American Academy of Sleep Medicine says. In this piece, we’ll run through how much sleep the average kid needs at various ages, what happens health-wise when kids do and don’t get the sleep they need, signs that your child may have a sleep disorder, things you can do at home to help your kid get better sleep, and where to go for expert help. Some babies will start sleeping through the night sooner than others. Kids may stop needing daytime naps at different ages. Kids in school may have different energy levels and need earlier or later bedtimes. Some teenagers might sleep until past noon if you let them, while others might be morning larks. If you are worried about your kid’s sleep, chat with their doctor — but know that experiences vary widely. So, how much sleep do babies, kids, and teenagers actually need? Here are guidelines from the American Academy of Sleep Medicine (AASM) and What To Expect, a pregnancy and infant health website. Newborn babies typically sleep a lot but wake up every couple of hours to be fed. “Unfortunately, there is no set schedule at first and many newborns have their days and nights confused — they think they are supposed to be awake at night and sleep during the day,” Stanford Children’s Health explains. All babies are different, but Stanford Children’s says that babies typically don’t start sleeping through the night (for 6 to 8 hours at a stretch) until they are at least three months of age or weigh 12 to 13 pounds. That said, it can take some babies up to a year or longer to sleep through the night. WebMD says that when babies start sleeping through the night, they can take fewer daily naps. When they’re around six months old, WebMD says, babies typically take two or three naps per day. Options include a mid-morning nap around 9 a.m., an early afternoon nap after lunch, and a late afternoon nap between 3 and 5 p.m. This transition is almost never smooth; it’s important for parents to know that there will be a transitioning period. There may also be periods during which babies have trouble going to sleep as a result of over-stimulation, separation anxiety, or even being overly tired. The good news is that most babies grow out of this. Toddlers need approximately 11 to 14 hours of sleep each day, but typically only get around 10. WebMD says that most kids aged 21 to 36 months need one daily nap, which can range from one to 3.5 hours long. An average toddler sleep schedule might have a bedtime between 7 and 9 p.m. and a wake-up time between 6 and 8 a.m. Kids aged 3 to 5 need 10 to 13 hours of sleep within any given 24-hour period. Younger preschoolers (such as three-year-olds) might still need a daily nap. 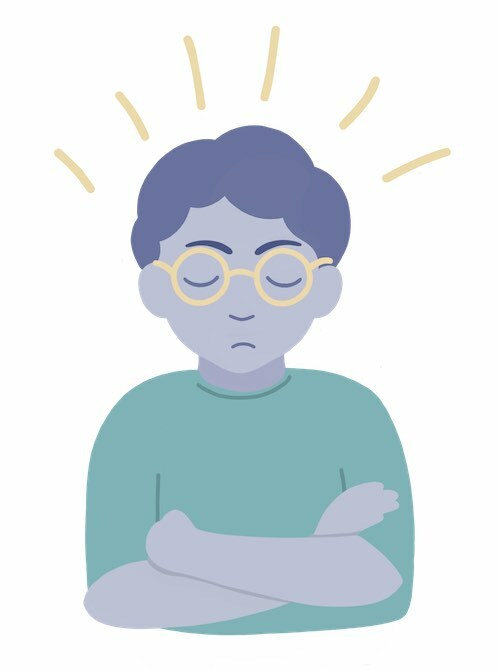 “At age three, many kids are still napping, at age four, some are still napping, but most give up the habit by age five,” Sleep.org explains. Once children are in school full-time and no longer take daily naps, it can be harder for them to get enough sleep. Kids in grade school may also be playing sports, participating in after-school activities, and spending time on homework each night. Over-scheduling can make it tough for school-age children to get the 9 to 12 hours of sleep they need each night. Teenagers have a reputation for sleeping a lot, getting up super late on the weekends, and often feeling tired or cranky. Teens need 8 to 10 hour of sleep each night, but Nationwide Children’s Hospital estimates that most teens only get between 7 and 7.25 hours. One major cause of sleep deprivation? A shift in teenagers’ circadian rhythms. According to Nationwide Children’s, puberty causes your internal clocks to shift back by around two hours — meaning you’re inclined to fall asleep two hours later than usual. Coupled with overscheduling and early school start times (more on that later), this shift means a lot of teens don’t get the sleep they need — hence the drive to sleep until noon on the weekends. Just because your kid has left home for college doesn’t mean you won’t worry about their habits — including sleep. According to the The National Sleep Foundation, young adults aged 18 to 25 should get 7 to 9 hours each night. However, the University of Georgia Health Center estimates that college students get, on average, 6 to 6.9 hours of nightly sleep. That’s bad news, because research shows that sleep deprivation in college students can affect their grades, athletic performance, and overall well-being. There are a few reasons why college kids might not get adequate sleep, including roommates or suitemates who disrupt their sleep; crazy schedules including academics, athletics, and social events; alcohol intake; and the lack of parents to enforce curfews or bedtimes. Sleep deprivation can contribute to a number of health issues and behavioral problems. These affect people of any age, but there are some particular concerns for babies, kids, and teens. Kids in junior high and high school may find that their schools start very early, and this can limit their sleep and contribute to the health and behavioral issues. According to one Centers for Disease Control and Prevention (CDC) report, 93 percent of American high schools and 83 percent of American middle schools start before 8:30 a.m. This means students have to wake up early to make it to school on time, which can be a particular struggle for kids who have long commutes to school. 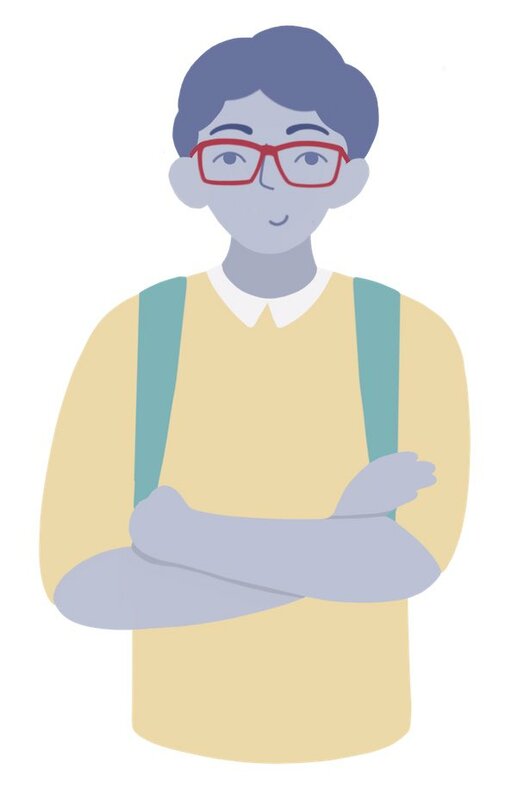 In 2014, the American Academy of Pediatrics released a recommendation: Middle and high schools in most U.S. districts should start no earlier than 8:30 a.m. “A substantial body of research has now demonstrated that delaying school start times is an effective countermeasure to chronic sleep loss and has a wide range of potential benefits to students with regard to physical and mental health, safety, and academic achievement,” a press release about the recommendation said. Indeed, research suggests delayed school start times can benefit students in multiple ways. A study published in the academic journal Sleep in April 2018 examined what happened to 375 female students in grades 7 to 10 when their school pushed back its start time from 7:30 to 8:15 a.m. (1). Researchers found that the students got more sleep and spent more time in bed after the delayed start time was implemented. “Participants also reported lower levels of subjective sleepiness and improvement in well-being at both follow-ups. Notably, greater increase in sleep duration on school nights was associated with greater improvement in alertness and well-being,” the study’s authors said. In another study, which was published in the journal Science Advances in December 2018, researchers looked at what happened to students in the Seattle Public School District when their school start time shifted from 7:50 to 8:45 a.m. (2). By comparing data gathered from students before and after the change, they found that students slept 34 minutes more each night after the delayed start time — and that their grades improved by 4.5 percent. Another perk? Students’ attendance improved after the shift in start time. Ultimately, research shows that kids benefit from later school start times. If schools in your area start early, consider getting involved in the PTA or contacting the school board to discuss delayed starts. According to the Cleveland Clinic, around 25 to 30 percent of kids will experience sleep disturbances. 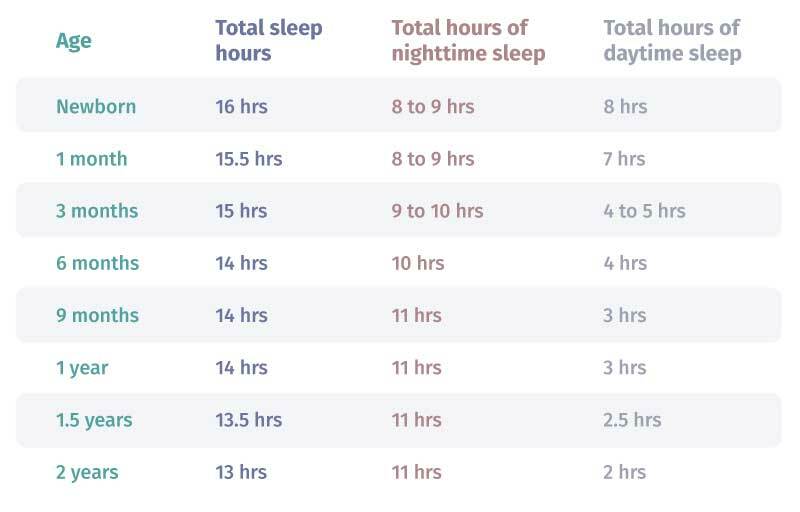 Some of these disturbances can be attributed to sleep disorders. If you are worried about a possible sleep disorder in your child, definitely speak to your pediatrician about what’s going on to see if your child fits any specific diagnosis. 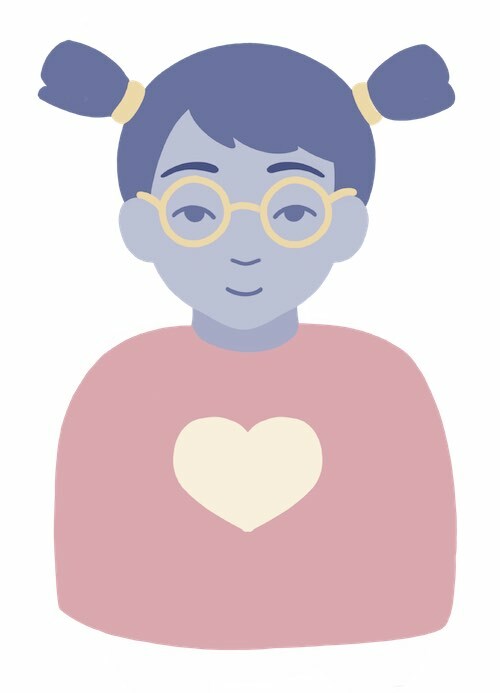 What Does Healthy Sleep Look Like For Kids? How can you tell if your kid is getting enough sleep? One option is to look out for signs that your child is sleep-deprived, which signals that they are not getting enough sleep (or are experiencing poor-quality sleep). Babies should be placed on their backs to sleep, whether for a nap or at night until they are at least one year old. The AAP recommends that you only bring your baby into your own bed to feed or comfort them. “Bed-sharing is not recommended for any babies,” their site explains. Where Can Parents Go For Sleep Help? 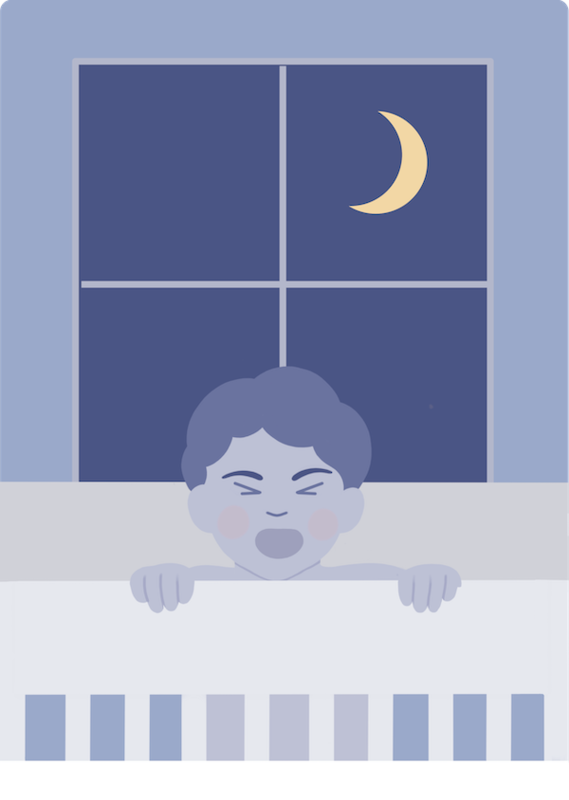 Parents who are concerned about their kids’ sleep have many options for finding resources and expert help. Here are a few great places to turn for reliable information and suggestions. 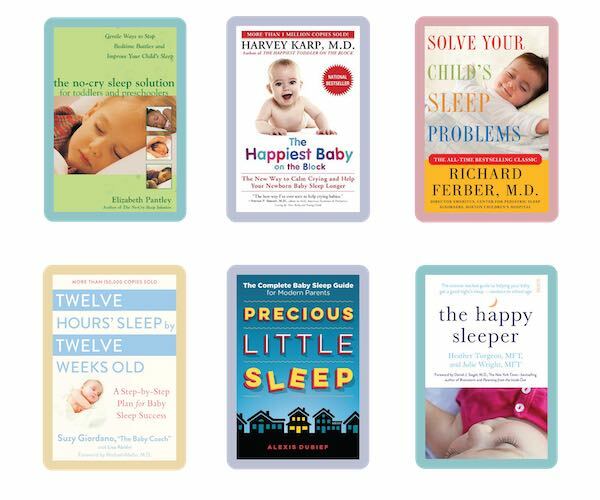 There are tons of books written about kids and sleep. Many books have been written by pediatricians, child behaviorists, and experienced parents. 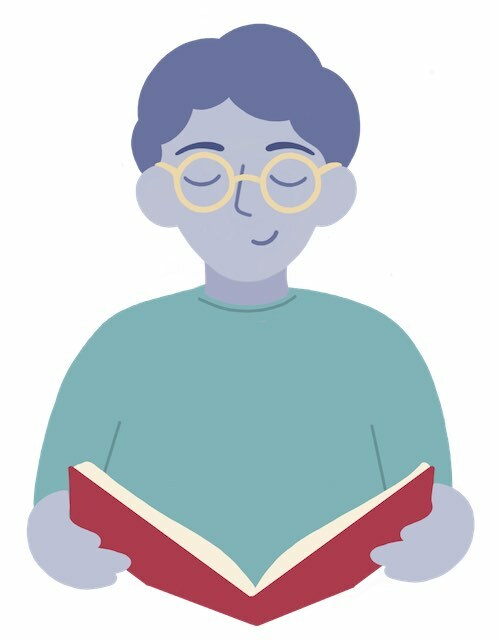 Different books will offer different solutions to kids’ sleep issues, so you may have to read a few books before finding something that works for you. You can also discuss sleep problems with your child’s pediatrician, just as you would discuss any other health issues or worries you had about your kid’s development. 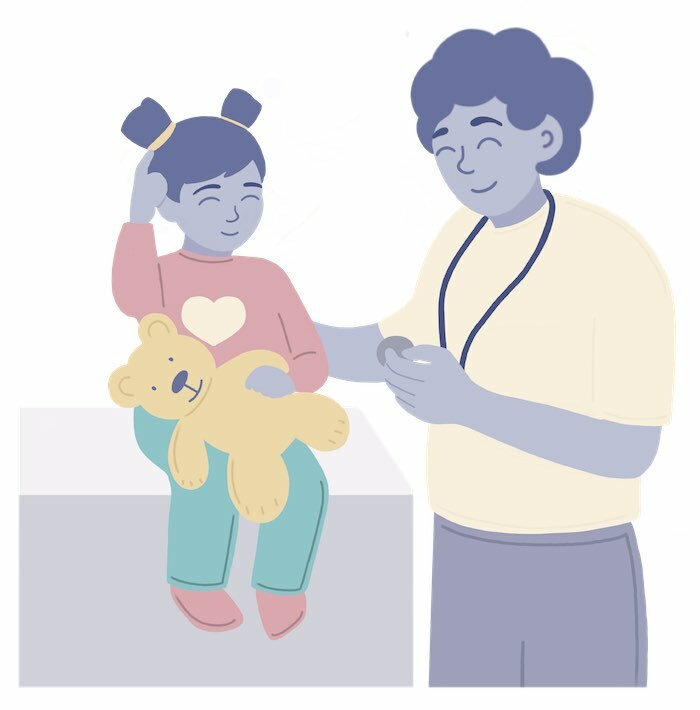 A pediatrician can tell you if particular sleep issues are something to worry about, what’s average for a kid in a certain age bracket, and when it’s worth seeking specialist help. They can also assess your child for any sleep disorders. 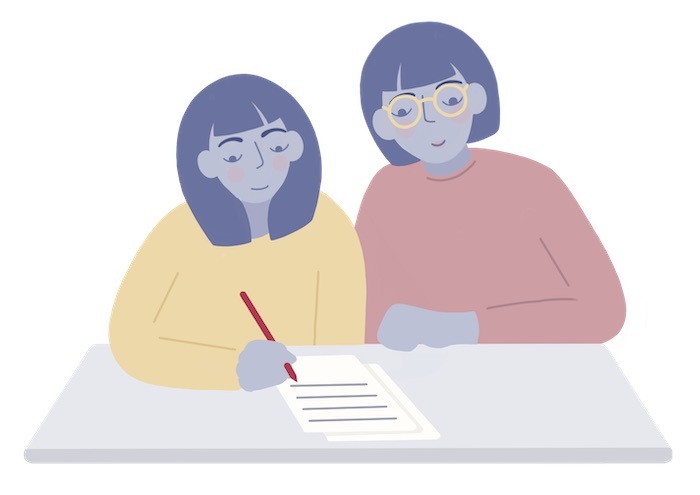 Online forums and blogs can be a helpful place to communicate with other parents experiencing the same types of sleep issues with their kids. While an internet commenter is no replacement for expert medical advice, online tips from other parents can be incredibly helpful. What’s more, internet forums reassure you that you are not alone, no matter what sleep problems your child is having. 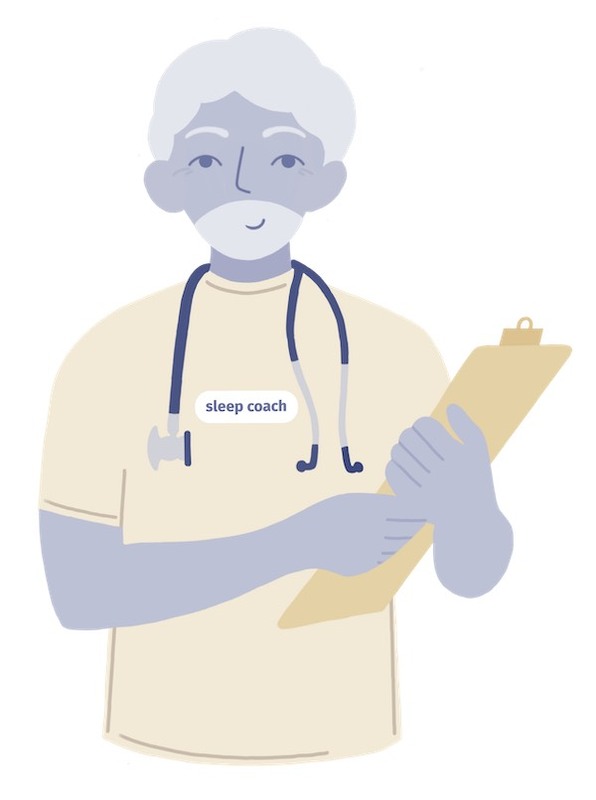 A sleep coach is a kind of consultant who can help evaluate your child’s sleep habits and recommend potentially useful changes. However, they are not always medical professionals, which means sleep coaches are not usually covered by health insurance. According to Consumer Reports, sleep coaching can cost $75 to $150 per session (depending on where you live). 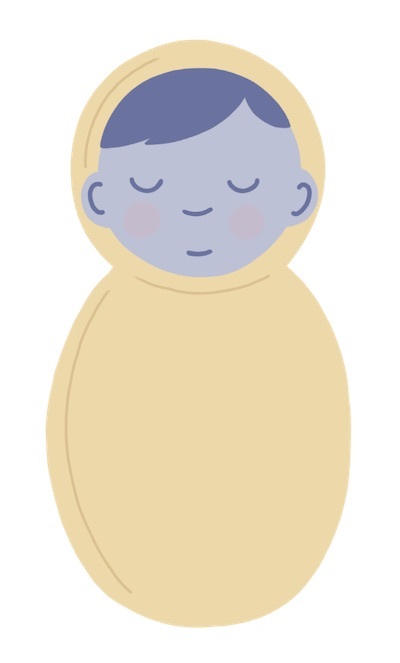 Simply put, sleep training is a process by which parents gradually get their baby to sleep through the night or stick to a regular sleep schedule. There are a variety of ways that parents can do this. You can consult your pediatrician, read books about sleep training to get ideas and then try it yourself at home, or hire a sleep coach or infant sleep consultant to help with this process. Sleep training can be controversial, especially the “cry it out” method. Because of this (and because the right sleep training approach varies from baby to baby), we’ve chosen not to include a great deal of detail in this section. Instead, we recommend speaking to your pediatrician to see what they recommend and if they have any concerns about whatever sleep training method you’re hoping to try. There are also hybrid techniques that merge ideas from both methods. You can’t know what works for any individual baby until you try it, and for the most part experts say there’s no “right” or “wrong” way to sleep train. No matter the method you choose, most experts recommend beginning sleep training when your baby is between four and six months old. That said, some parents find that sleep training is most effective between the ages of six and nine months. It’s generally not advisable to begin sleep training before the age of four months, because at that stage most babies won’t have developed circadian rhythms and may still require nighttime feedings. Again, because sleep training is highly individualized, the appropriate time to start sleep training may vary. There are a few things you can do to help your child get good quality, regular sleep. Here are some of the things experts recommend you try. Just like adults, kids sleep best in an environment that’s set up for sleep. That typically means a cool, dark, and quiet room. You can get heavy curtains or blackout shades to block out daylight or street lights. If necessary, set up a loud fan or white noise machine to mask sounds from the rest of the household. A fan can also help keep the room cool. 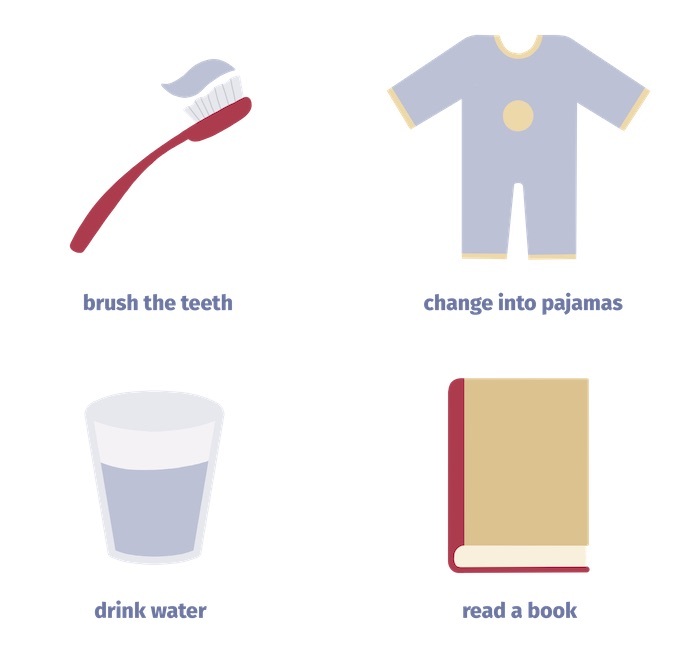 Experts recommend that you find a routine that works for you and your kids, and stick to it as much as possible. “There is no single routine that’s right for everyone, but in general, yours should include all the things that your child needs to do before going to sleep,” WebMD explains. So a routine should include brushing their teeth and changing into pajamas, and maybe having a drink of water. “Your child may want to read a book with you, talk about the day, or hear a story. 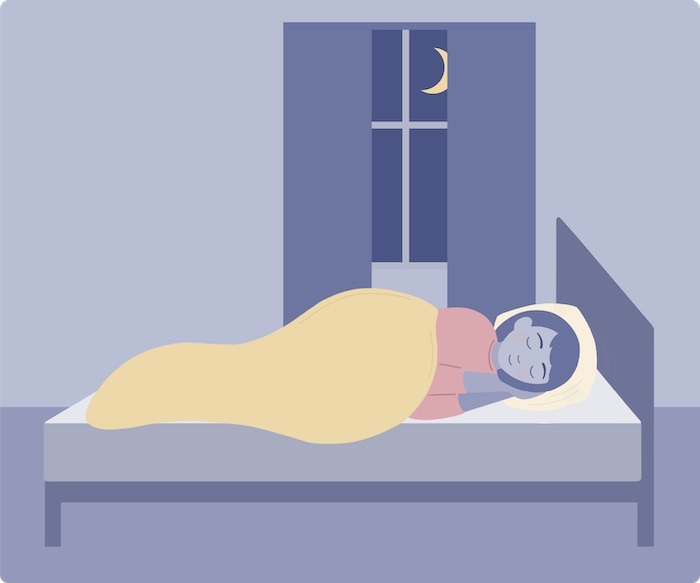 Whatever you choose to do, keep the routine short (30 minutes or less, not including a bath) and be firm about ending it when it’s time to sleep,” WebMD recommends. Teach your child about sleep health. For a lot of kids (and adults, frankly) going to sleep seems like a boring option — they’d rather be playing, or watching a movie, or doing literally anything else. So it’s important to try to help them understand why it really is important for them to sleep. Healthy sleep doesn’t look identical for every child, but there are some general guidelines to follow and many signs of sleep deprivation to look out for. 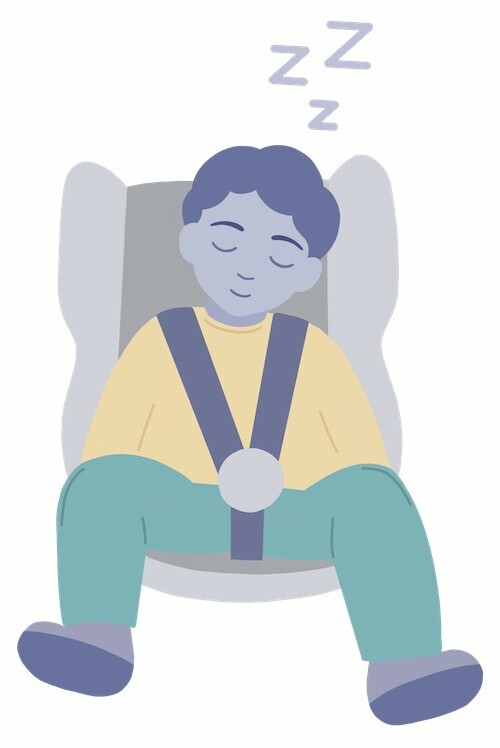 There are also a number of baby and infant sleep safety recommendations from the American Academy of Pediatrics (AAP), which help lessen the likelihood of sleep-related accidents and deaths. 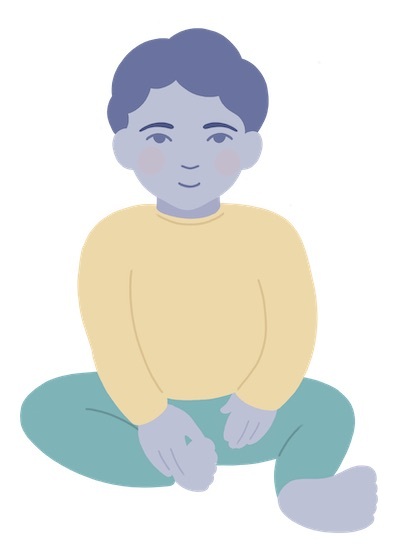 You can help your child sleep well by creating a calm place for them to sleep, sticking to a soothing bedtime routine, teaching them about the importance of sleep, and modeling good sleep habits for them. If you’re worried about something related to your child’s sleep, there are many resources to turn to, including your pediatrician, books written by experts, and other parents who can share what worked for them. You’re not alone in worrying about your child’s sleep, so don’t forget to reach out for help if and when you need it. Lo, June C, et al. “Sustained Benefits of Delaying School Start Time on Adolescent Sleep and Well-Being.” Sleep, vol. 41, no. 6, 2018. Dunster, Gideon P., et al. “Sleepmore in Seattle: Later School Start Times Are Associated with More Sleep and Better Performance in High School Students.” Science Advances, vol. 4, no. 12, 2018.